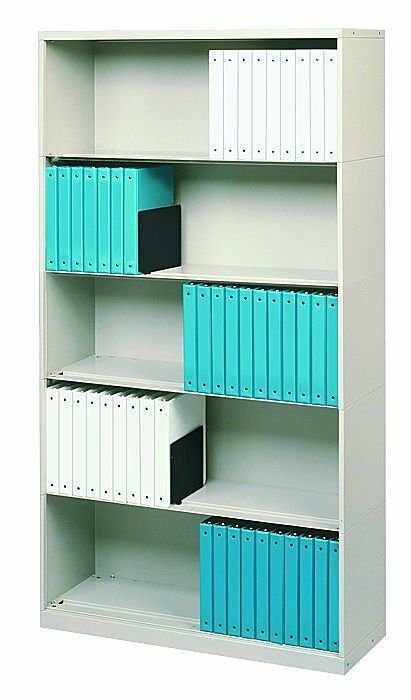 Save Space with our low-cost modular binder storage cabinets. Shelf files are three to four times more space-efficient and less costly per inch than either vertical or lateral cabinets. Our shelving offers the most versatile storage for binders. Design a storage system to meet your needs, from a single-tier-high desktop unit to a seven-tier-high shelving unit. Tiers can be added at any time to maximize your storage space. For even greater space savings, our binder storage units are modular easily made mobile by placing them on a movable lateral high-density tracking system.